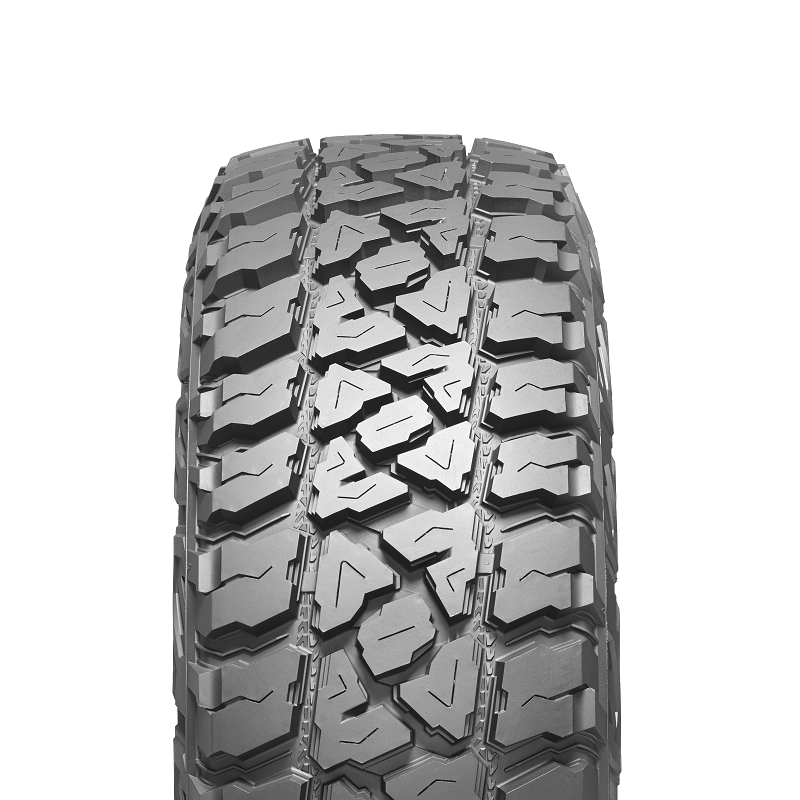 Aggressive block and dual pitch is applied for mud, rock crawling and on-road performance. Stone reject bar and under groove decoration improves stone and mud rejection. Three level height block improves its stiffness and traction performance. Zigzag groove and notching shoulder reduces damage and improves off road traction.